The Greater Manchester Law Centre is opening tomorrow, with the aim of providing access to free and independent legal advice and representation for the people of Greater Manchester. 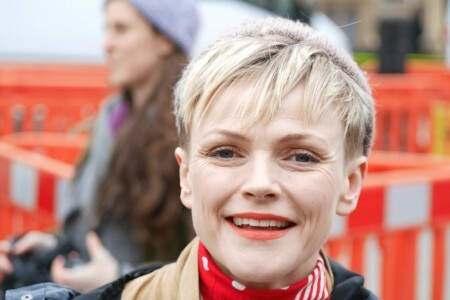 There will be a free public celebration at the West Indian Sports and Social Club in Moss Side tomorrow, Saturday 11 February, between 1.30pm and 5pm with patrons Maxine Peake and Michael Mansfield QC, human rights lawyer in attendance. 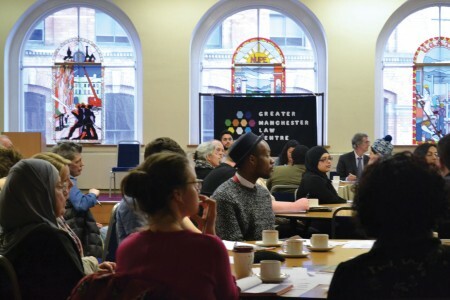 The GM Law Centre, which was founded by lawyers, trade unionists and community advice organisations in response to Government legal aid cuts, which has seen nine law centres in all ten Greater Manchester boroughs reduced to just two, in Bury and Rochdale. The new Law Centre has set up welfare rights services, challenging negative Employment Support Allowance, and Personal Independent Payment decisions by the DWP, and has gained the support of lawyers, North West TUC and local trade union branches, local community groups and all five Greater Manchester University Law Schools – whose law students are starting to represent people at tribunals. There will be food, activities for children and a range of entertainment including the Holy Name RC Primary School Steel Band, Spoken Word artists and DJ Kemoy Walker. John Nicholson, Chair of the GM Law Centre, explained why the GM Law Centre had been established: "We are not just a law centre, but a campaign – for law centres generally. Nicholson added that: “We are fighting for a new generation of publicly funded social welfare lawyers. "While it is great to get so much support from pro bono volunteers, we are not just here to mask the severity of cuts and closures. We are not an isolated organisation, competing with others for the crumbs of statutory sector funding; we want to campaign with others for more for all of us. And we do not just want access to the legal system, we are a campaign for justice!"